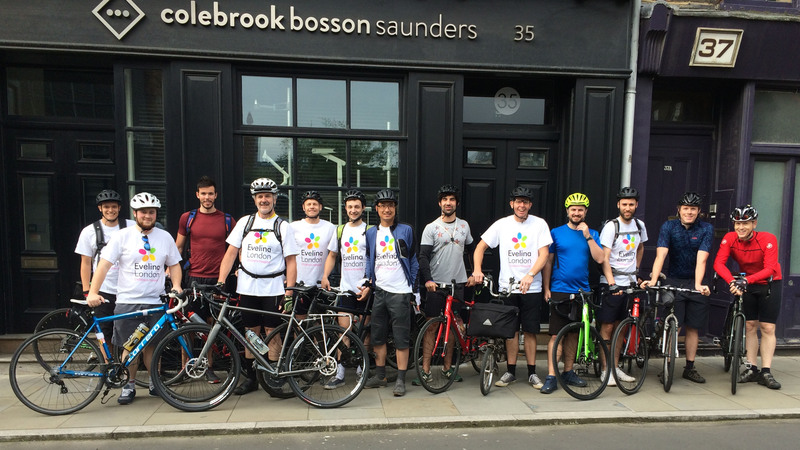 On Friday 8th of June (2018), members of the CBS team once again set off on a 60+ mile charity cycle ride! This time the teams journey took them from our office on Union Street in London to the beautiful and historic city of Cambridge. 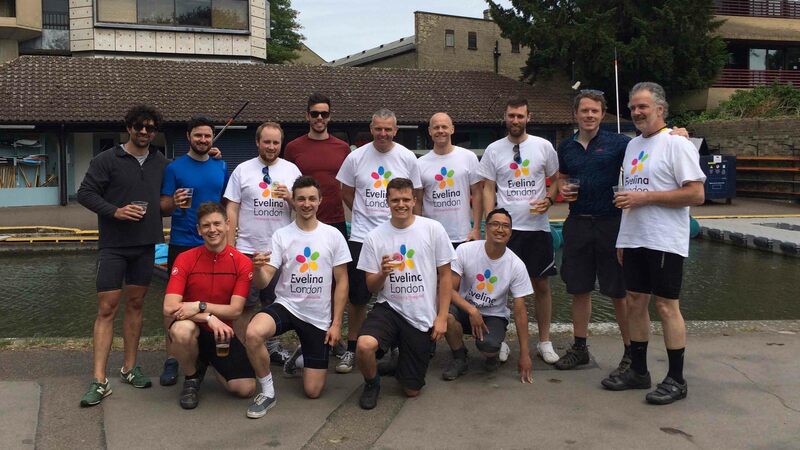 This year’s cycle ride raised funds for Evelina London Children’s Hospital, every donation goes towards improving care for sick children, everything from lifesaving research and the latest medical equipment, to the little things that help make a stay in hospital less scary for young children. 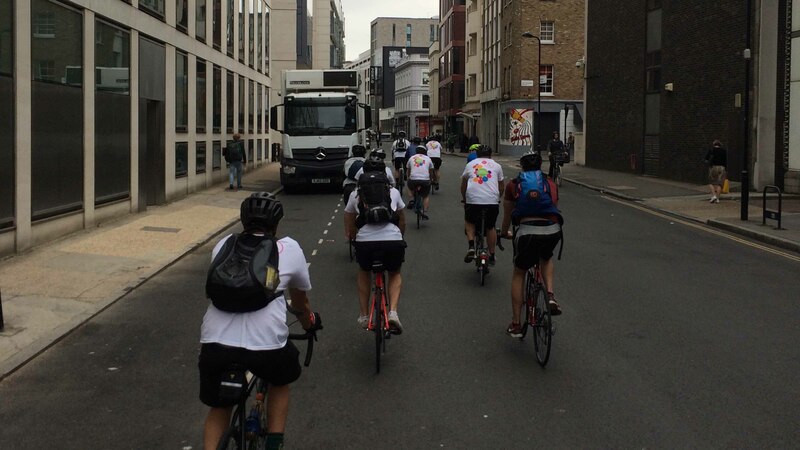 The team set off around 07:30am, avoiding London’s notorious morning rush hour traffic. 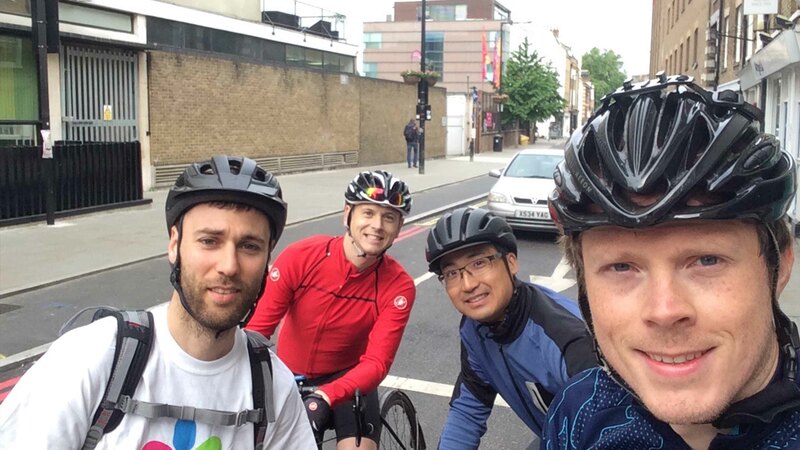 Their adventure took them through north London following CS1 (cycle superhighway 1) heading out of the city. 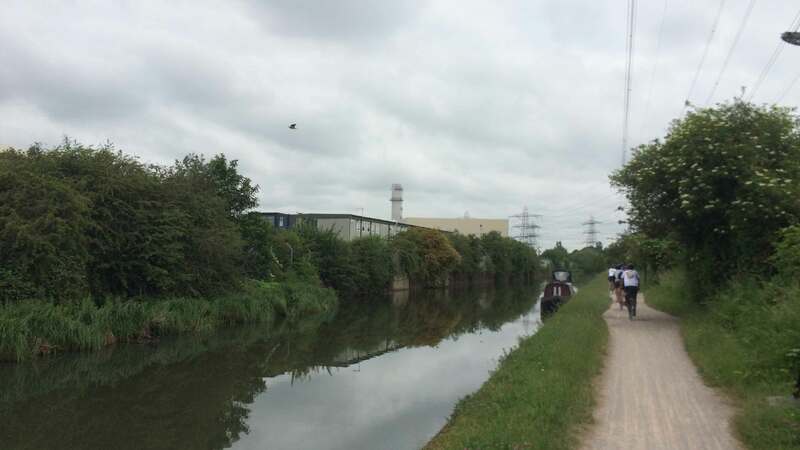 The route then followed the canal path, heading upstream of the river Lee navigation, the path was bumpy and narrow, the team had to tread carefully along the path, watching out for pedestrians and other cyclists, but the views were lovely, and the weather could not have been better. 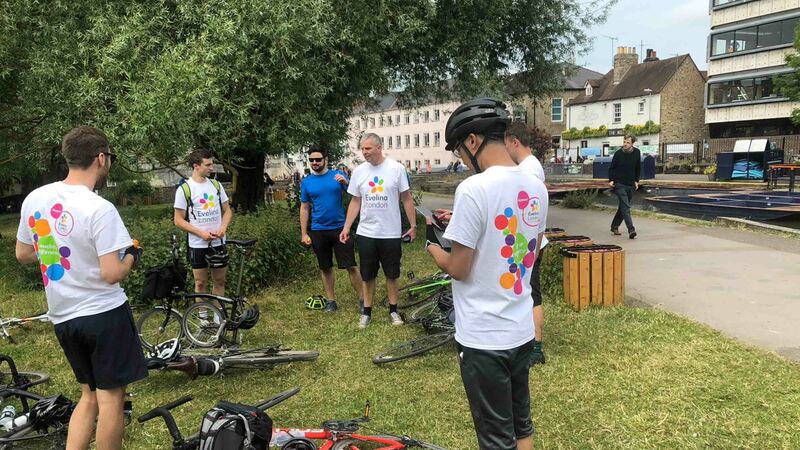 The team first stopped (20 miles in) at a café along the canal, refueling with coffee and a few sausage sandwiches before departing for part 2 of their journey, they would continue along the canal for a few more miles before finally re-joining the roads entering the charming town of Ware. 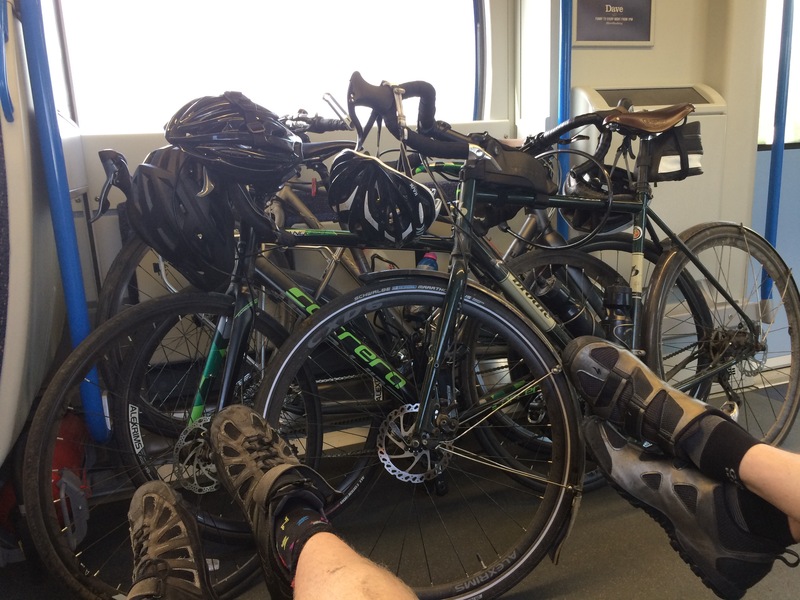 The team had now reached smoother roads, however, the journey was still just as challenging, the elevation had changed significantly, so far, the journey through London and along the river Lee was relatively flat. 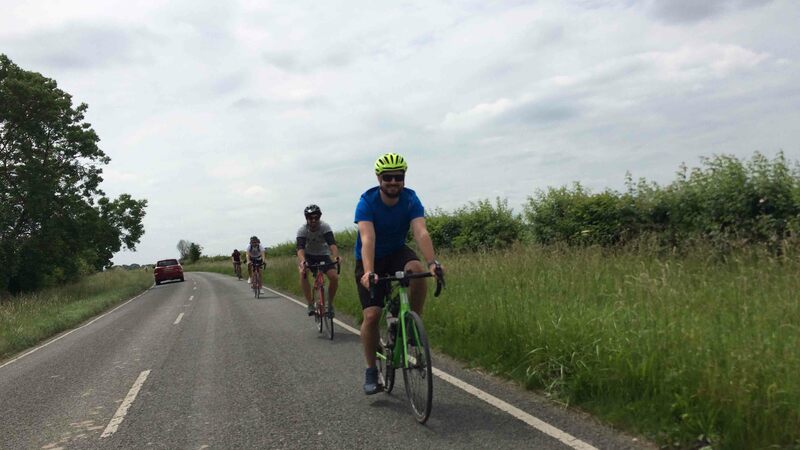 The team sped down hill and laboriously climbed up hill, enjoying spectacular views of the beautiful pristine English country side, all the while snacking on jelly babies whenever possible to keep spirits high. Along the road, the team stopped every now and then to take a quick breather and allow those towards the back of the peloton to catch up, it was during one of these stops that a local kindly offered to allow us into her home to refill our water bottles for the journey ahead, this was much appreciated by the team, as they were still far from their next pit stop. 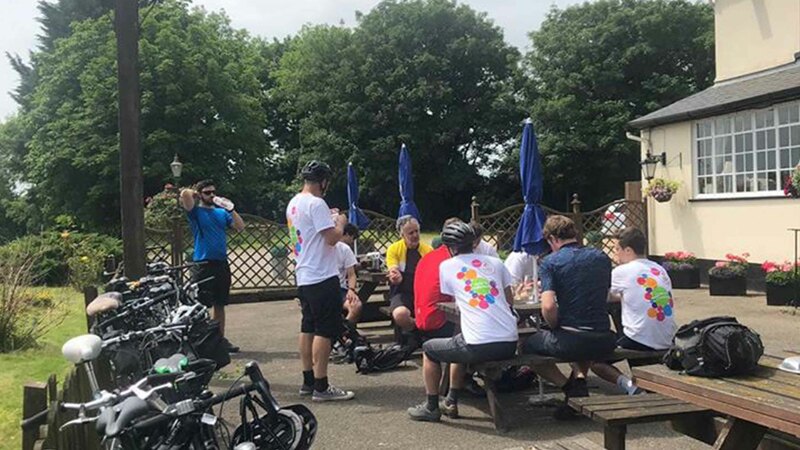 More than 40 miles into the journey the team made a pit stop before Cambridge, a charming country pub (The Chequers), for snacks and liquids. 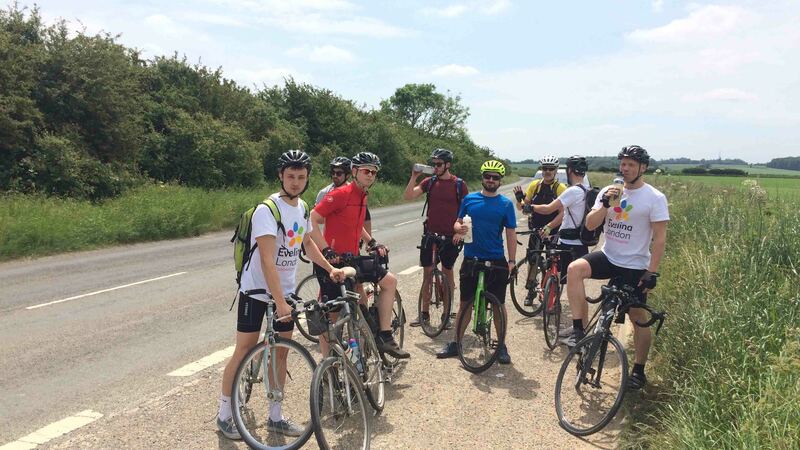 After a well-deserved rest, the team re-hydrated, filled their bottles and began their last 20-mile journey into Cambridge with much enthusiasm! The team pushed on a full speed, the road from there on was a downhill and flat path, allowing some of the more experienced members of the team to reach speeds of up to 34.4 mph. The team eventually stopped on the appropriately named London Road, just outside of Cambridge to wait for the others to catch up, enjoying a passing view of some interesting steam powered machines. Finally, at around 14:30pm the team rolled into Cambridge, led by one of her previous residents and member of the CBS team Henry ‘Quadzilla’ Innes. We cut our way through the city with ease, arriving at the centre of Cambridge for a few team photos and then headed along the canal to the pub for a well-deserved drink. 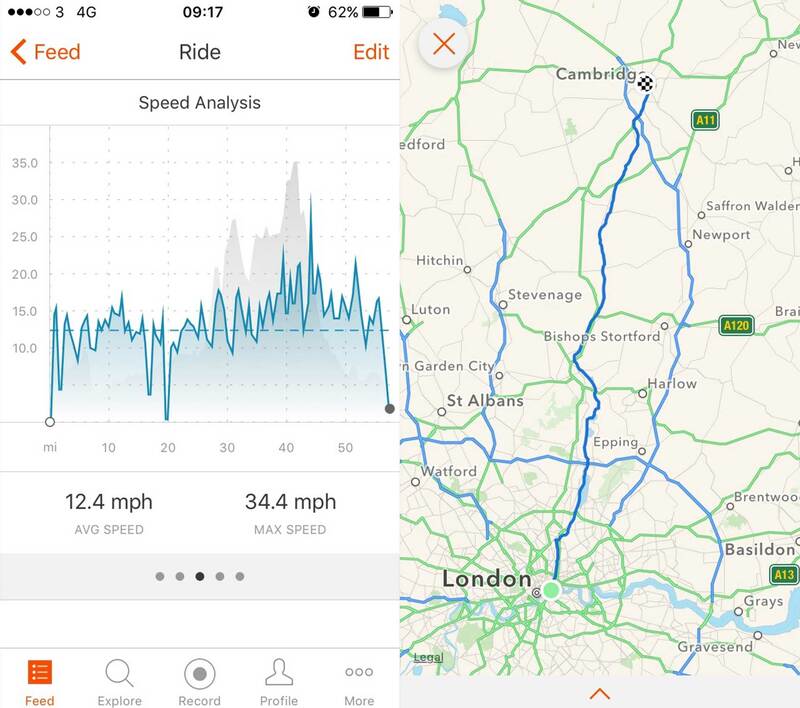 A special thank you goes to our very own Senior Designer, Peter Williams, as he once again organised and planned the days event, mapping the route, testing it before hand and leading the team from our HQ to the centre of Cambridge! 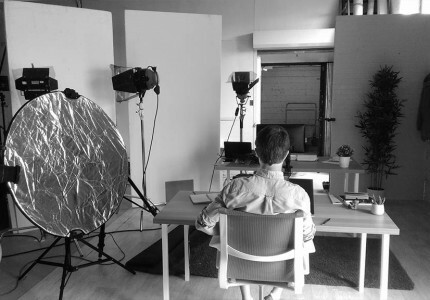 This event could not have been possible without his hard work, dedication and determination. Farewell Cambridge, it was a brilliant day!